I love my Southern heritage. Its culinary treats from barbecue to biscuits have enriched my life. There is so much to love and eat! I think it is safe to say that every true southerner has a recipe for pimento cheese. There are acceptable versions of it in the store, but there is nothing like homemade pimento cheese. Southerners eat this stuff like peanut butter. Whether it is on crustless white bread for a garden party, stuffed in celery for bridge club, or served with good butter crackers for a football tailgate, they eat pimento cheese by the bucket loads. And I understand why. Cheese, mayonnaise, sweet peppers, and hot sauce...what's not to love? Fortunately, I am able to share my Southern roots with my husband and children to expand their culinary world. They love this stuff! Actually, my children do not know life without it. They were eating pimento cheese when they were babies. We mostly eat it with crackers, but I enjoy it on white bread with a thin slice of ham. Yum! 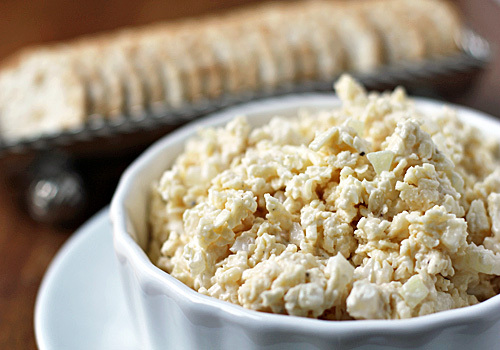 There are countless recipes out there for pimento cheese. I feel like I have tried them all. But this one is the keeper! I keep the heat to a minimum for the kiddos and serve extra hot sauce on the side. To turn up the heat, add some diced pickled jalapeños. Just remember, like my Sweet Onion Cheddar Spread, get the good stuff and grate it yourself. It makes a difference. So, whether you are from the North, South, East, or West, serve this at your next party or get-together. 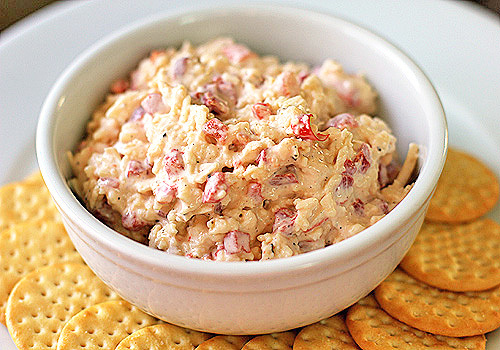 Because even if your guests have never heard of pimento cheese, they will quickly hop on board! This has been our Sunday dinner menu for many years. The leftover turkey goes into the gumbo and the pumpkin roll is the perfect ending! 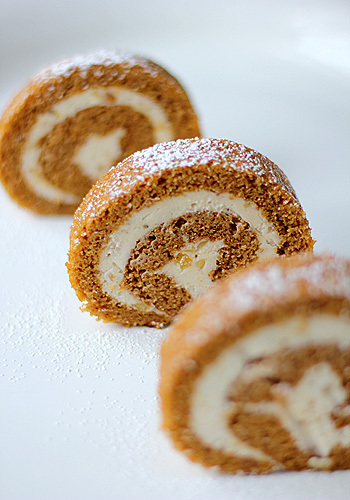 We love pumpkin roll more than pumpkin pie. Cake, pumpkin, cream cheese, and butter...what's not to love? This is just a jazzed up version of LIBBY'S Pumpkin Roll. I changed the spices according to my own taste and I added chopped walnuts and crystallized ginger to the cream cheese. 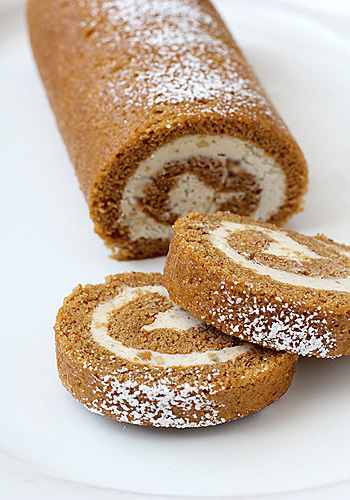 And since I had ground ginger and crystallized ginger, I changed the name to Double Ginger Pumpkin Roll. It is so yummy! I couldn't decide which picture I liked best for this post. Anyone care to comment? I'd love your feedback! I love leftover turkey sandwiches. Spread with a good mayonnaise and my leftover whole berry cranberry sauce-- it is my favorite sandwich of all time! 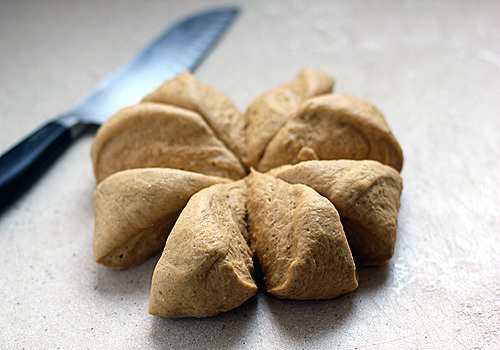 I usually enjoy it on leftover rolls or a loaf of homemade white bread, I was looking for something different to try a couple of years ago. 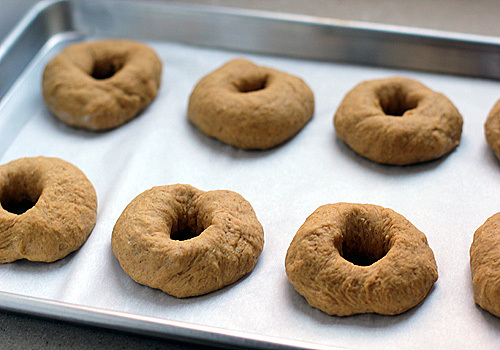 When I am looking for baking inspiration one of my favorite sites to go is King Arthur Flour. 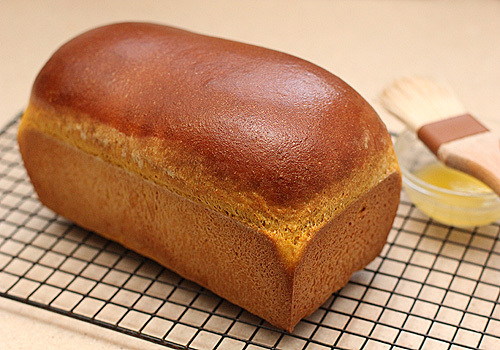 I came across this recipe for Pumpkin Yeast Bread. I knew it would be perfect for my turkey sandwiches. Some reviews suggested adding more spices, but I left the spice in the recipe as is since my cranberry sauce already has plenty of spice in it. I did increase the salt and I used butter instead of oil. These loaves bake up beautifully and they are so tasty. 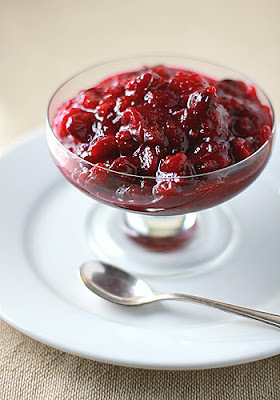 The pumpkin and spices come through subtly on their own, but when paired with leftover turkey, my whole berry cranberry sauce and some mayonnaise-- wow, so good!! The recipe suggests making half the batch into a loaf and the other half into rolls and that is what I do. Perfect for those fall sandwiches, but also wonderful served warm in the holiday bread basket! Well, Thanksgiving is over, but our American right to the leftover carnage has just begun! I told you how I made the entire Thanksgiving meal for leftovers, but I didn't explain how I reheat my turkey for our day-after feast. Growing up we always served large holiday meals buffet style in tabletop chafing dishes like this one. The food is placed in pans over deep water pans. 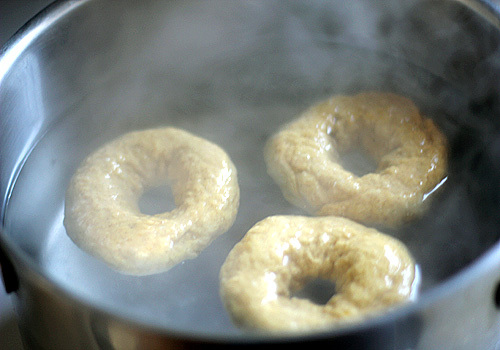 The water is heated just until it steams and it keeps the food warm and moist. So with that in mind, I thought a great alternative to the steam table would be to warm up leftovers using the steam insert to my pasta pot. I bring an inch or so of water to a simmer. 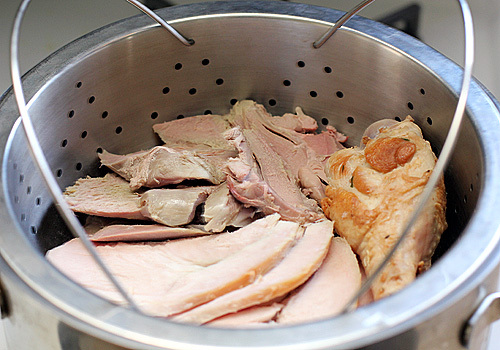 Place the cold sliced turkey meat in the steamer insert and put it over the simmering water. Cover with a lid and check back every few minutes until the meat is the done. It heats up just as moist and juicy as Thanksgiving day! Oh, I almost forgot. It is also a great way to reheat your leftover dressing. Mmm-- moist and tender dressing! I hope you are all enjoying the day with your families and friends. We are off to spend the day with our family, but I just wanted to share with you our Thanksgiving menu and a few extras I made for our leftover feast. Mmm-- I can't wait! 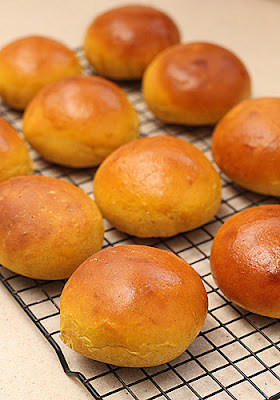 And it wouldn't be Thanksgiving without Buttery Pan Rolls! 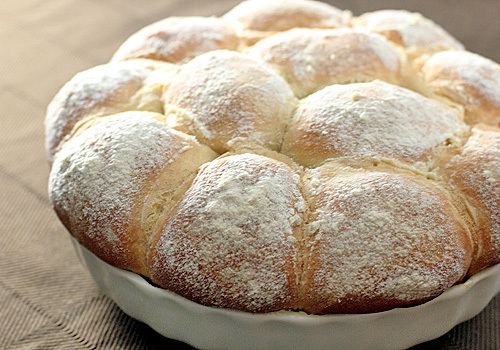 Light, fluffy, buttery, and yummy. No need for extra butter. Just pull them apart and use them to wipe up every last morsel on your plate:P We don't eat these for just Thanksgiving, we eat them all year long. So, this is the recipe I would like to share with you today. Not just today, but everyday I am thankful for my wonderful family, my dearest friends, my love for food, and now the ability to share it all with you. Have a joyous day! 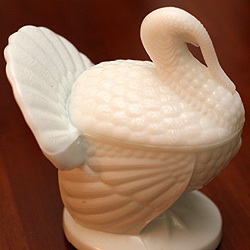 I know many of you are looking for savory dishes for Thanksgiving, but since I am new to blogging, I don't have the dishes made with photos. Don't worry, we have next year to look forward to! Fortunately, I do have another sweet tart to share because my little one is having a Thanksgiving feast at school today and I was asked to bring in a pie/tart. She requested this one. I have had this recipe since 1993 back when I didn't have my own kitchen. Heck, I was still in high school! No teen magazines for me-- just cookbooks (and maybe a few Martha Stewart magazines). That will give you some insight into my long love affair with food. 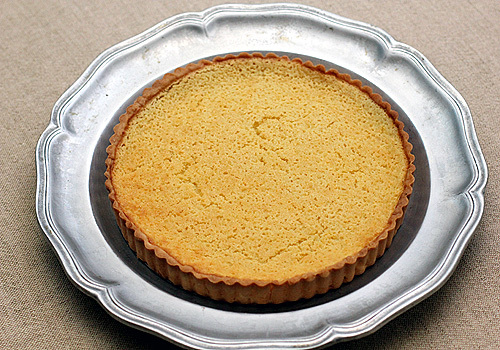 This is a Buttermilk Pie recipe from Lee Baily. It is a year round favorite in our house. In the Spring/Summer, I serve it with a dollop of whipped cream, berries, or both. In the Fall/Winter, I serve it with just a dollop of whipped cream and pinch of cinnamon or all by its delicious self. 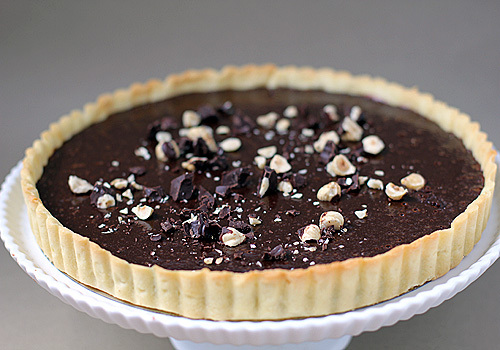 Whenever I serve this tart to friends or family, I am always asked for the recipe. From the original recipe, I reduced the amount of ingredients so the filling wouldn't over flow. The other changes I made are the pastry dough and the pie plate. I love my tart crust and I love tarts. So for me, it is a Buttermilk Tart! 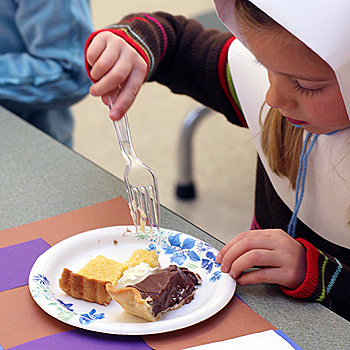 When there are several 6 years olds that dig into the slice of buttermilk pie before the chocolate pie...that certainly has to tell you something! I am usually silent on Sundays, but I thought I would speak up today. For 2 months now, I have been sharing with you our actual Sunday dinner menus. We sit down at the dinner table together just about every night of the week, but it is our Sunday dinners that we really look forward to. A tradition that we have been enjoying for many years. Sundays are when the tablecloth and the linen napkins come out and the table is set ahead of time. At 5 o'clock the appetizer is served with a sparkling beverage for the children and a cocktail or glass of wine for the adults. The candles are lit and dinner is served between 6:30-7:00. Then dessert is devoured:P It is a wonderful way to end the week behind and start the week ahead! Although I have been sharing only the dessert recipe of our menus, I will be sharing all of the recipes with you in the future. 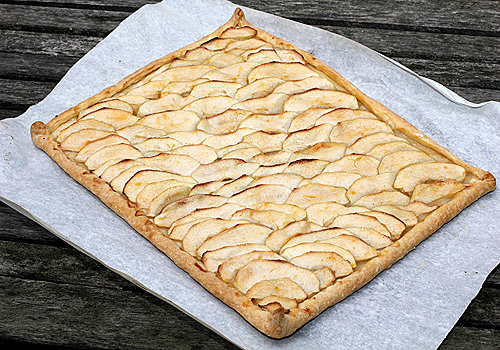 This Sunday we are enjoying this Apple Galette. I have been making this ever since it was published in Cooks Illustrated more than 3 years ago. 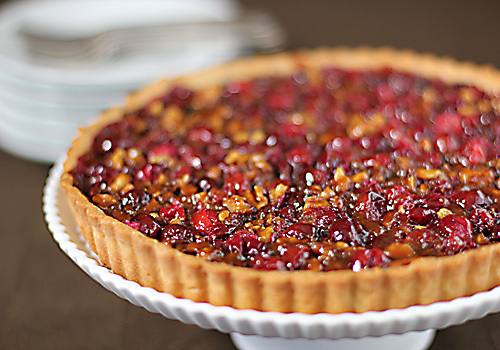 I love the simplicity of the taste and the rustic look to this tart. The only change I have made is to toss the apples slices with a little bit of lemon juice to prevent browning. Served with a salted caramel coulis and lightly sweetened cinnamon crème fraiche...it is just delicious! I do hope you'll give it a try! The weather here has been just beautiful lately. Crisp, cool and perfect! So perfect, it was time to roll out the fire pit and make some s'mores. Being so close to Thanksgiving, I thought I would put a spin on the traditional s'more. 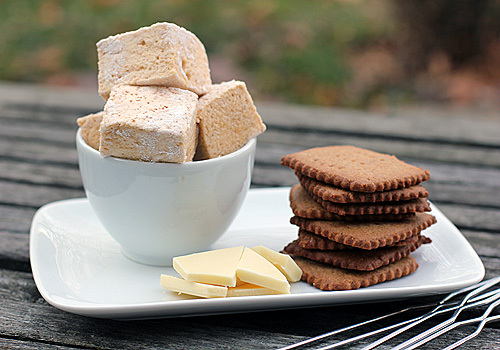 I searched and quickly came across a pumpkin marshmallow recipe. It was very similar to my vanilla one, but had the addition of pumpkin puree, spices, and orange food coloring. I changed the spices according to my own taste and left out the food coloring because I wanted them to look natural-- not neon. Paired with my homemade graham crackers and some white chocolate (and a little spread of caramel I had in the fridge)-- yum! Move over pumpkin pie. I think we have a new tradition after our Thanksgiving meal! Do not be intimidated by making your own marshmallows. They are fairly simple, but you do need a candy thermometer and a stand mixer. In the pumpkin marshmallow recipe, I found that dusting them with cornstarch in addition to powdered sugar is essential due to the extra moisture from the pumpkin puree. And once you make your own marshmallows you'll understand why it's worth it. They are far superior in taste and texture than the ones at the store. *Update- please see this post about removing excess moisture from the pumpkin puree. I came across this recipe years ago in a December issue of Bon Appetit. 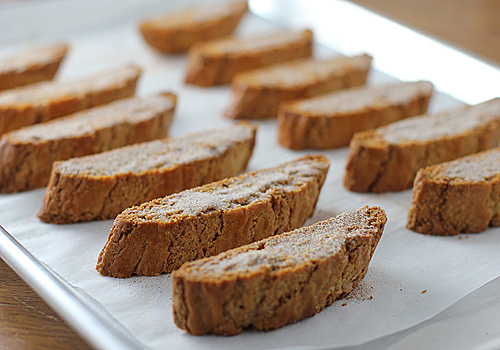 I had made biscotti before, but this recipe was a bit different. After reading reviews online I decided to make a few changes. The original recipe called for 1 egg and 1 egg yolk, but I had always used 2 eggs. 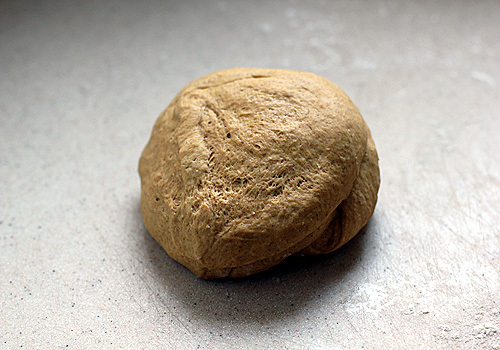 I find that using 2 eggs makes the handling of the dough easier. I also used 1/2 white sugar and 1/2 brown sugar. Lastly, I reduced the baking time. I am happy to say that I have been making them the same way ever since. And since I made a few changes, I thought they deserved a new name. The original was Cinnamon-Sugar Biscotti, but I thought Cinnamon Toast Biscotti was more suitable because they taste just like cinnamon toast! These are absolutely fantastic!!! It is an excellent excuse to eat a cookie for breakfast. 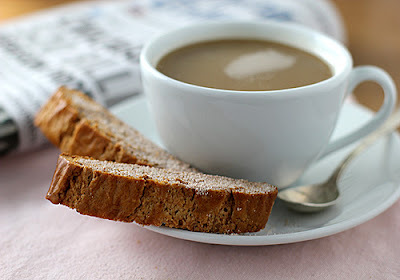 And even though I am not a big coffee drinker, I definitely break out my french press to make myself a latte which is perfect for dunking the biscotti into. Just make sure when you sit down to enjoy these that your are not reading the paper because I guarantee you that distraction will cause you to eat way more than you should. They are too good to eat just one! Well, it is the week before Thanksgiving and it is time to get started on the planning and preparation for the main event (o.k., I actually got started right after Halloween). Although I am not hosting Thanksgiving this year, I will still be making the entire meal down to the appetizers for our leftover gluttonous carnage feast. 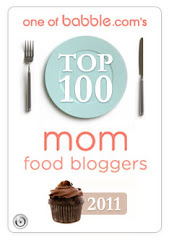 So, I need to make out my lists and organize my cooking/baking times before the big day arrives. One of the most important time saving things I do is make anything that can be prepared ahead of time like, puff pastry, pie crusts, breads, cornbreads, and creamed corn (already in the freezer). And one of those things is my spiced whole berry cranberry sauce. According to this article, cooked cranberries can last up to a month in the refrigerator if stored in airtight container and if any liquor is added it can last up to a year. Thankfully, mine has some Cognac added to it. So, I guess that means I can get ahead start on Thanksgiving 2011! Well, I was going out on limb with this one, but I am so glad that I did. These were fantastic!! So good that we each had another half:P My thinking behind this recipe was I wanted a bagel that tasted like my spiced pumpkin muffins. 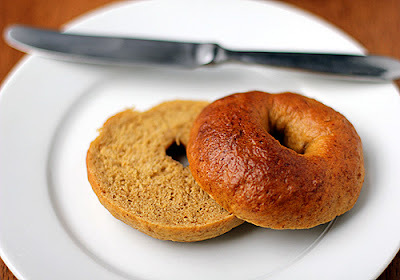 So, I took my favorite plain bagel recipe added pumpkin puree, brown sugar, spices, and some orange juice to give it that nice little tang. Mix, rise, roll, shape, boil, bake and breakfast was served. 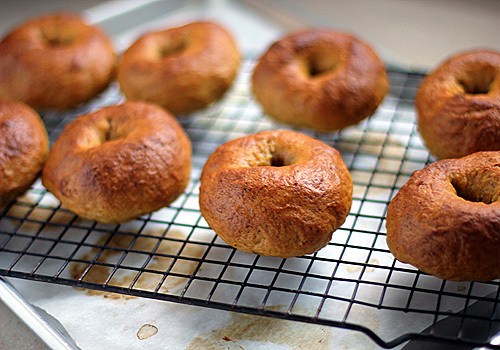 If you have never made bagels before, don't be intimidated. These really are simple to make. The only thing I will do differently is let them rise a bit more after I shape them (I have included the extra time in the recipe). Seeing how Thanksgiving is just around the corner, I think these would be wonderful served to family and guests for breakfast Thanksgiving morning. You can certainly make them the night before. We enjoyed ours toasted on one side with some whipped cream cheese and some warm apple cider. Yum! Yum! I make my breads in my Kitchen Aid stand mixer, but you can certainly make this by hand or in a bread machine. Just remove it from the bread machine after the first rise and continue to the recipe. I was recently asked for an appetizer recipe for the upcoming holidays. Immediately, this one came to mind. Why this one? It is super easy, super tasty and you can make it ahead of a time. It is always a crowd pleaser and I cannot tell you how many times I have been asked for the recipe. Spread it on crackers for your party and any leftovers are simply scrumptious on a roast beef sandwich. However, there are a few important tips that I must point out. First, like the Mac-n-Cheese, please buy really good extra-sharp cheese (another shout out to the farm families at Cabot) and grate it yourself. Meaning, do not buy the pregrated cheese. It just won't work because of the stabilizers in the cheese. Second, dice the onion by hand. Putting the onion in a food processor or mini chop causes an unpleasant onion flavor that is much too strong for the spread. And third, use good mayonnaise, like Hellman's. Do not use the salad dressing mayonnaise and do not use low fat. Now that I have told you what not to do...the one thing you can do is to adjust the amount of heat according to your taste and that of your guests. What I like to do is put just a touch of hot sauce in the spread and then serve the spread with the bottle of hot sauce on the side for those who like a bit more heat. That way everyone is happy, especially the kids. So, please do try this for your next gathering of friends and family. It will surely be a hit. I think it safe to say there are probably a lot of you that still have an over abundance of Halloween candy. With 3 trick or treaters in my house, I have a brown grocery bag full. This year I wanted something different. I have seen recipes out there for Halloween Candy Bark, but I wanted something more, something with a base. So, I made a graham cracker base and poured a chocolate filling over it, then sprinkled my favorite chocolate candy pieces and bars all over it. Wow! This was eye-popping unbelievable! I got to taste every candy flavor in a single bite. 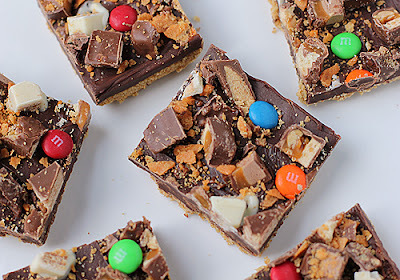 Chocolate, caramel, peanut butter, white chocolate, crispy cookie, rice cripsy all in a slice of pure Halloween candy heaven. And the extra credit...this is very kid friendly, no baking involved. So needless to say, I am quite happy to have leftover Halloween candy this year because I will be making these again, and again, and again. Remember the apple butter? Well, I wanted to share with you one of my most favorite ways to use it. It is this delicious tartine that is an absolute must in my house each Fall. 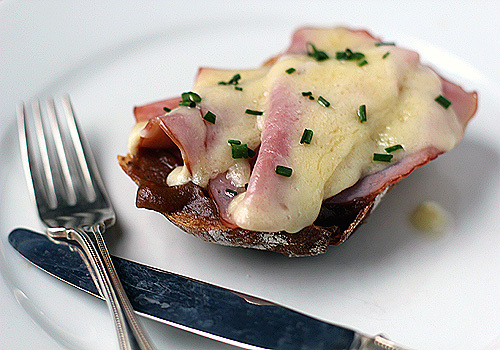 A tartine is simply the French term for open-faced sandwich. And in this version, I use Black Forest ham, extra-sharp white cheddar cheese, Dijon mustard, and of course, apple butter. Just layer the ingredients and place it under the broil until the cheese melts and then you'll have yourself a delicious lunch. I also enjoy this with a nice salad for dinner and I have even made it in mini form for an appetizer. I do hope you'll give it a try! Boy, oh boy, I am loving blogging. It is really helping me keep track of my recipes. This one being the perfect example. The evolution of this recipe began when my mother dropped of a butternut squash that she wasn't going to use. Thanks, Mom! Immediately, I thought of a soup, but I was in the mood for pasta. I have seen squash and pasta recipes before and many have had bacon in them. Great, I had some leftover pancetta in the frig. Now, how about some onion to go with that pancetta? Let's go with a red to add some sweetness. And what goes well with pancetta and onions? Cheese-- Parmesan check! Still missing something...a herb... thyme... no... sage... maybe... rosemary... bingo! Lastly, a bit of texture and something to really give it that Fall pasta dish... a garnish of roasted walnuts. And there you have it. A simply delicous pasta to add to your seasonal repertoire. Oh, and just so you know, when my daughter took her first bite she said, "Yum, you should blog this!" Consider it done. Well, with all the chocolate and candy around here lately, the fruit on the counter got a little neglected. So, what do you do with 3 rotting nicely ripening bananas on the counter? Make Banana Crumb Muffins. 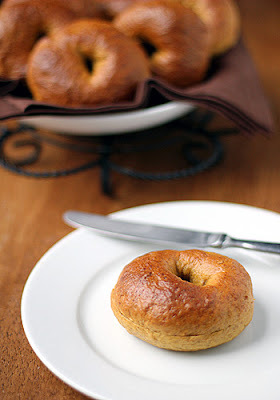 These are perfect for breakfast and delicious for an afternoon coffee break. They have a simple oat crumb and a subtle hint of spice. 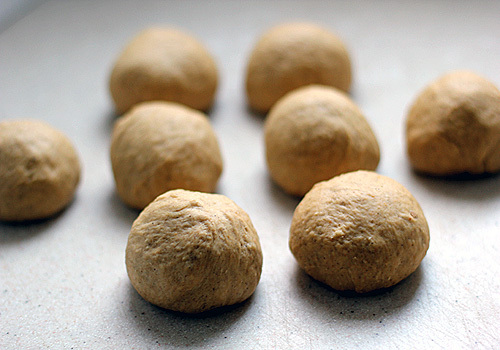 But, the secret to these is a wee bit of vinegar. Yes, I said vinegar. I find that adding just a small amount to certain baked goods and savory dishes really brings out a brightness to the finished product. It is a real flavor enhancer without leaving any harsh vinegar after taste. So, next time you have some aged bananas on hand, turn them into these Banana Crumb beauties!